Black Oystercatchers are usually just that: jet black. 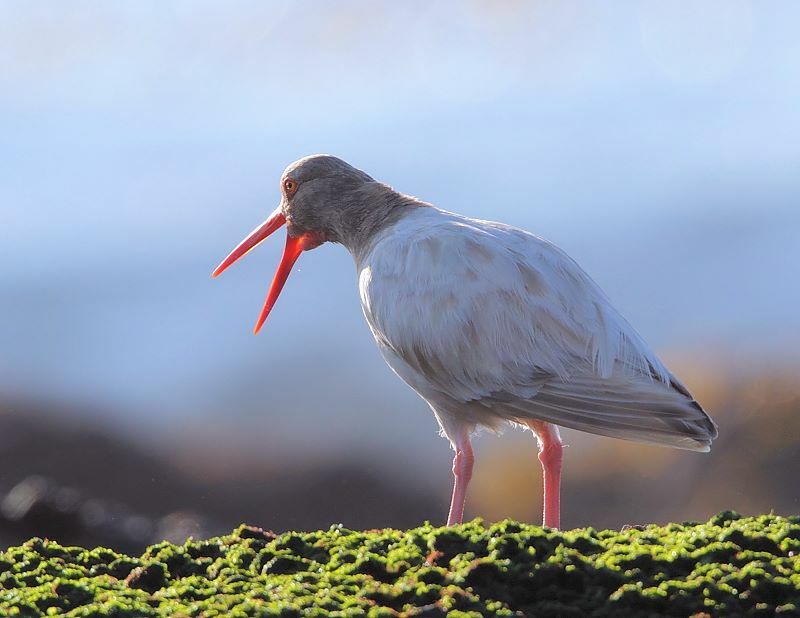 This unusual bird--spotted in San Pedro, California--has a genetic condition called leucism that affects the expression of ALL pigment types (as opposed to albinism, which just affects melanin). Most leucistic organisms, which can include mammals and reptiles, are patchy with white, but the entire body of this bird was affected.